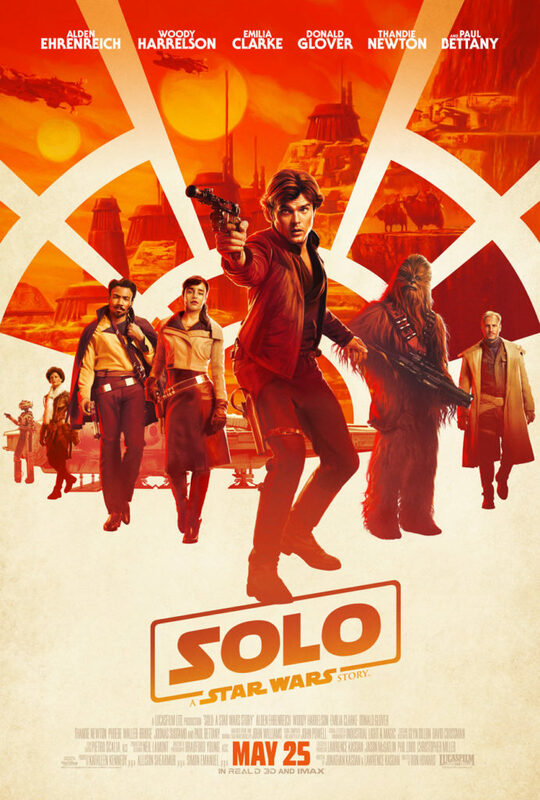 The Star Wars sequels have got off to a pleasant start in terms of box office receipts, though some of it's plot directions have been left with mixed responses from some of the most dedicated fans; said trend doesn't change much for this year's Solo, another spinoff from the main series that explores the backstory of one Han Solo. I won't claim to know the Star Wars series and all it's expanded universe stuff inside out, but upon watching it's latest blockbuster, I only had one response: why all the negativity from some? Solo once again is an exploration of the iconic Han Solo's development and how he came to be the rebellious hero we all know and love. His character now finds itself in the hands of one Alden Ehrenreich, developing into the eventual bounty hunter we've all come to know in a mission to reunite with his lover Qi'ra (Emilia Clarke) following a failed escape from the oppressive world of Corellia. His subsequent adventures bring him into partnership with the stern Tobias Beckett (Woody Harrelson) and of course the beloved yet short tempered Chewbacca, and soon enough on a mission against rising crime lord Dryden Vos (Paul Bettany). Of course with a film like this, the initial factor of much controversy is always going to be the recasting, should the new talent brought in be an acclaimed, hugely award winning superstar or not. 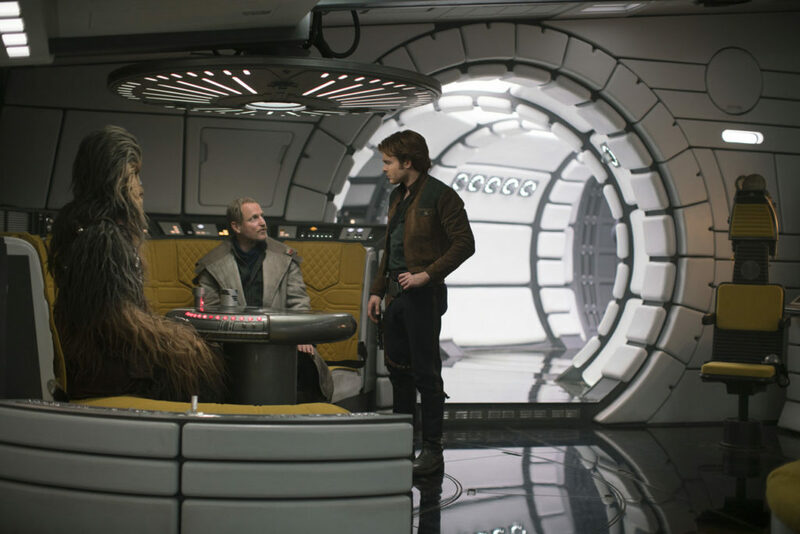 Many reviews have left questionable feedback of Ehrenreich's effort in the role of Solo, but it seems quite a lot of said reviews leave such mixed responses and only seem to justify it with how his efforts can't match that of the beloved Harrison Ford. Such a mindset isn't a healthy (or fair) one; we can't endlessly compare our young Solo to the original to outline his overall quality, but once again it seems such a trait is inevitable with any recasting. Ehrenreich, at least in my eyes, does a fab job with his portrayal - he is still the same sly, skilful, and witty hero, one who always has a plan and works hard to pursue it. It's still largely our same Solo that we know well from the originals, yet of course more vulnerable given his younger and less experienced nature. All in all, Ehrenreich finds himself worthy "predecessor" to Harrison Ford, so to speak. But it's not just Ehrenreich who performs well - in fact his efforts lead a generally superb cast all over. Woody Harrelson as our secondary protagonist Tobias Beckett is on a similar level of quality, and shares a perfect chemistry with Ehrenreich, as does his long term lover Qi'ra, despite her confusing characterization in latter parts of the narrative; and once again (without becoming too obsessive), one Joonas Suotamo dons the costume perfectly in his efforts as Chewbacca. Our villain once again lies in the form of Dryden Vos and the talents of Paul Bettany, and while he may not be the most memorable or thoroughly developed foe in film history, or hell even the history of this franchise, Bettany's efforts make him a threatening one whenever he's on screen for sure. 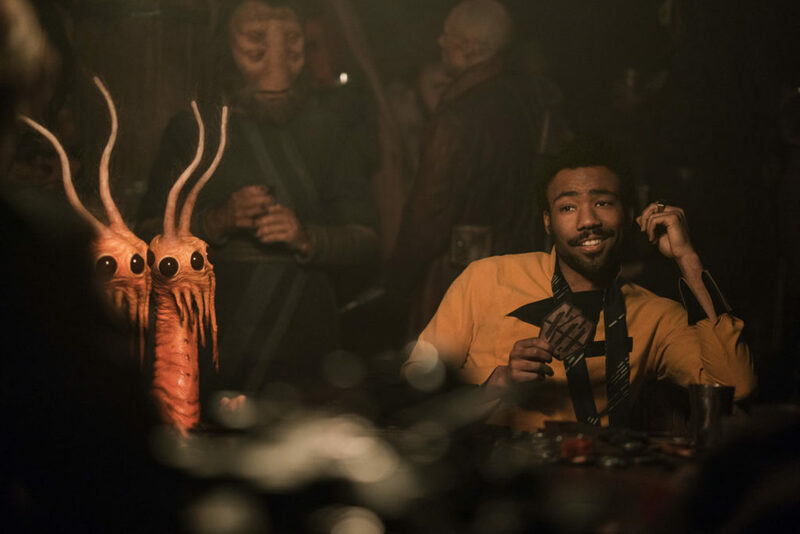 One can also appreciate Donald Glover in his relatively minor role as Lando Calrissian, though he may come and go at bit awkwardly at times. In traditional Star Wars fashion, Solo adopts a fantastic visual style, for the most part deftly blending fine costume work, animatronics, and CGI effects. Perhaps some of the fully animated characters can stick out a bit awkwardly when blended into scenes with animatronics or costumes, but it's not hard to say that the gargantuan budget is put to great use when it comes to all these aesthetics. Solo isn't free of any flaws; some of it's story elements can feel a tad rushed when important, particularly as we approach the end, and others slightly dragged out - perhaps it's 135 run time wasn't quite needed for some of the material included. What's more is whilst we're treated to a handful of superb set pieces, beautiful to admire in IMAX, maybe they can occur too often in rapid succession and drag out a tad when it feels they should be coming to a conclusion. But negativity aside, Solo remains a fun time at the movies, just as the original series always was, and all those involved have made a great effort without a doubt.